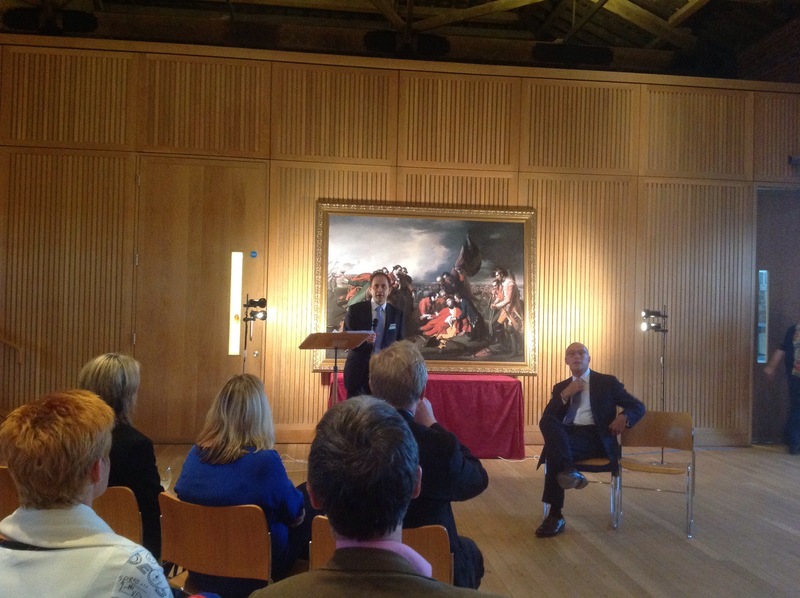 Earlier this evening I attended a lecture by Loyd Grossman on Benjamin West’s painting ‘The Death of General Wolfe’ that hangs in Ickworth (see here). One of the points made was West’s knowledge of classical sculpture from his Grand Tour visit to Rome. 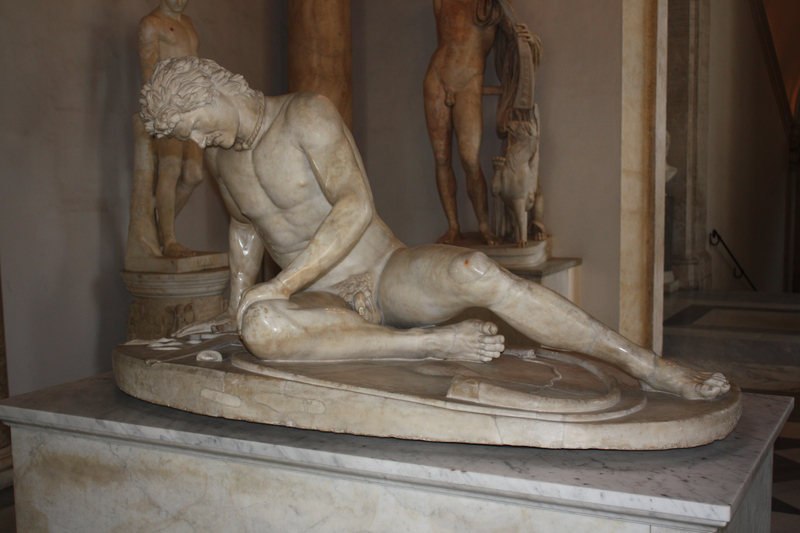 Wolfe’s body evokes, to my eye, the Dying Gaul displayed in Rome. 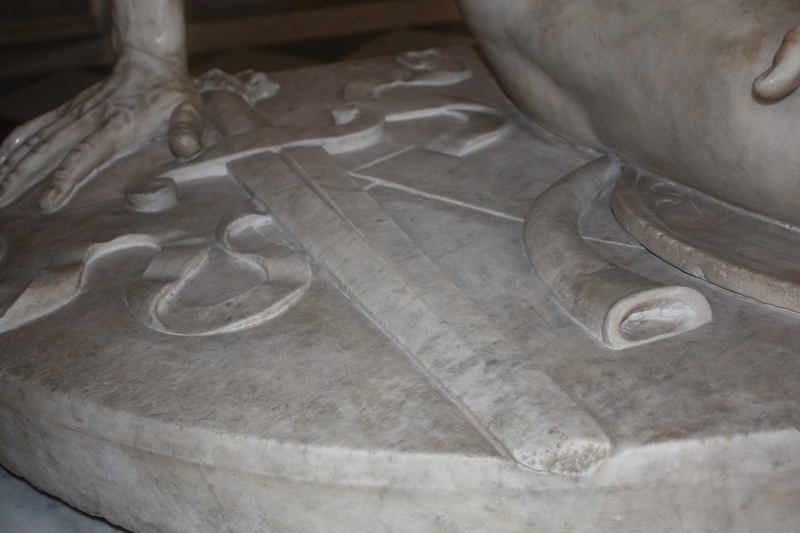 Note that a musket lies at Wolfe’s feet instead of the sword and trumpet on the base of the Dying Gaul.